It’s hard to believe it is November already! Amidst these feelings of disbelief, I’m also just a little excited about the festive season, but why is it, that aside from the odd surfing Santa, the northern hemisphere seems to have the monopoly on Christmas imagery? 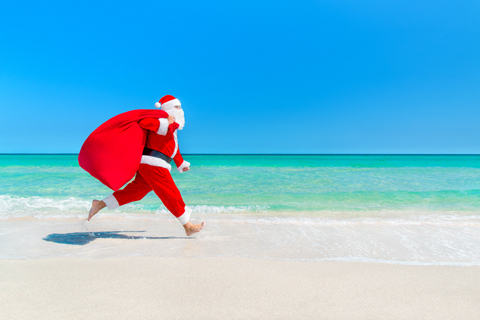 Santa: Inappropriately dressed for the beach or just very sun smart? You be the judge. 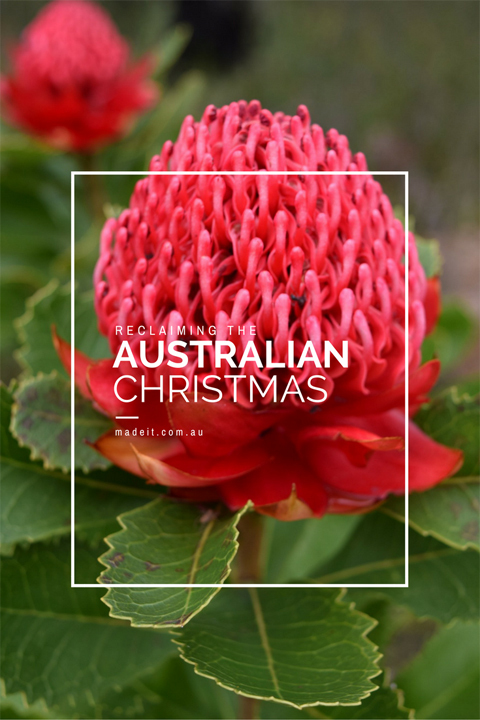 From snowflakes and snowmen, to sleighs and reindeer, the things we associate with Christmas don’t really represent anything close to the Australian Christmas experience. Like many Aussies, I still dream of one day experiencing that white snowy Christmas by a fireplace. My one festive season in London some years ago was more of a grey, sleety Christmas spent eating toasted muesli and sleeping on a wet mattress on the floor of an unheated room which I shared with 3 others (in a house of 8!) after being robbed. Joy to the world! Now I’m sure it gets better than that – I’ve seen it on TV – but I have found myself wondering lately whether Northerners ever dream of a sun-drenched Christmas. Because really, I think we have the better end of the deal. As Christmas fast approaches, the weather is starting to warm up (the mercury has just hit 37.6 degrees here on the NSW north coast) and that means… parties! 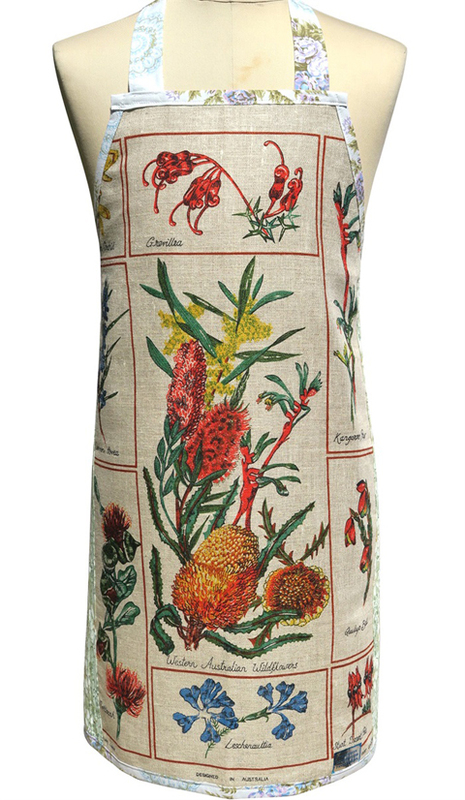 Look festive as you cook for the hoards in this Australian wildflower apron by Merry-go-round. Be it beach picnics, afternoon drinks, BBQs, long lunches, dinner parties, work functions or formal balls, I just love me a party! But I really can’t imagine having to spend all those festive occasions rugged up and indoors… especially the beach picnics. Indoor beach picnics are the pits! Ditch the snowflakes this year and hang some gum leaves like these ones from the little card boutique. So I say, why don’t we, from the land down under, reclaim Christmas, and the imagery that goes with it? 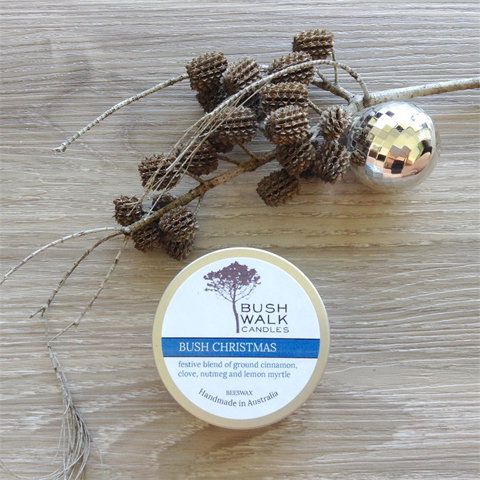 Evoke the scent of Christmas in the Aussie bush for your next Christmas party with this Bush Christmas candle from Bushwalk Candles. It’s well over 200 years since Christmas was first celebrated in this beautiful country, so surely it’s time for our own Christmas story to be the one that dominates department store windows and adorns gift wrapping paper. 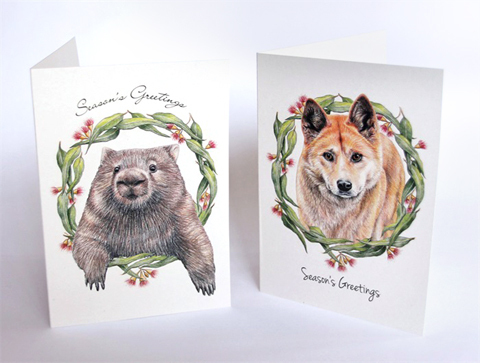 These familiar faces illustrated by Joanne Percy will deliver your season’s greetings to loved ones via the magic of Australia Post. 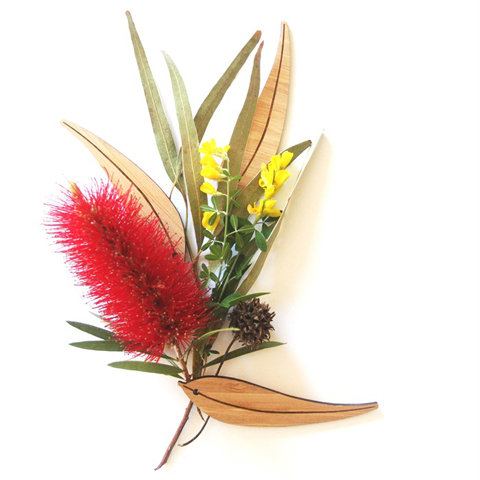 Rise up and say no to mistletoe and yes to gum leaves and bottlebrush! 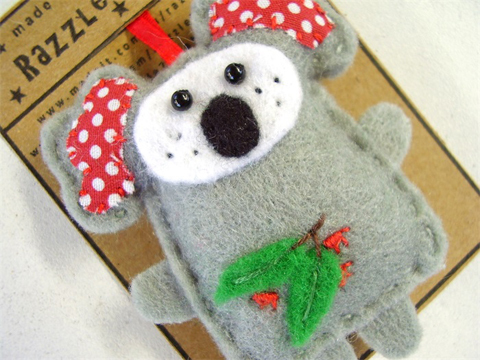 What do you love about an Aussie Christmas? 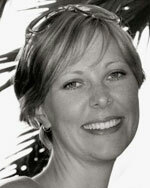 Thanks Louise for including my apron in this feature. Loving the other great selections too!